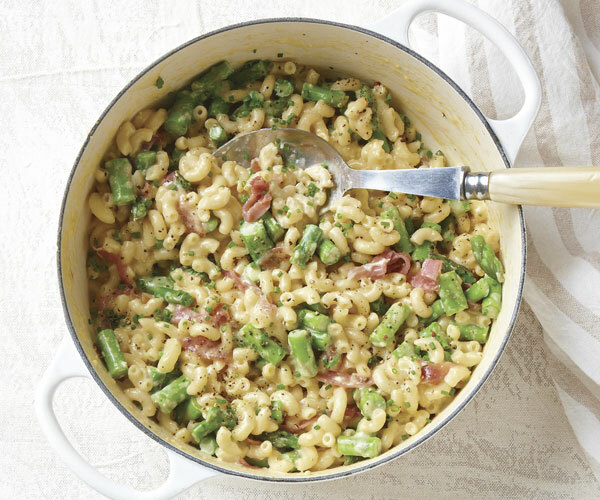 Because there’s no need to make a separate béchamel, this comforting dish comes together quickly and in the same pot you use to cook the pasta. The only caveat is that the sauce doesn’t hold long, so serve it right away. Bring a 4-quart pot of well-salted water to a boil. Add the asparagus and cook until just tender, 3 to 5 minutes. 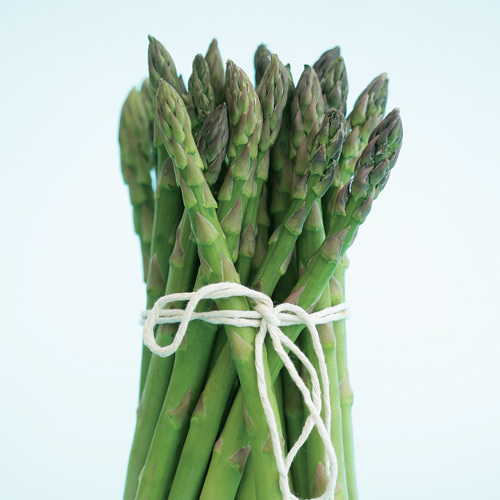 With a wire skimmer or slotted spoon, transfer the asparagus to a bowl, and keep warm. Bring the water back to a boil, add the pasta, and cook according to package directions until al dente. Drain and return to the pot. Add the butter and cook over medium-low heat, stirring occasionally, until the butter melts, about 1 minute. Meanwhile, whisk the evaporated milk, eggs, and 1/2 tsp. salt in a glass measuring cup or bowl. 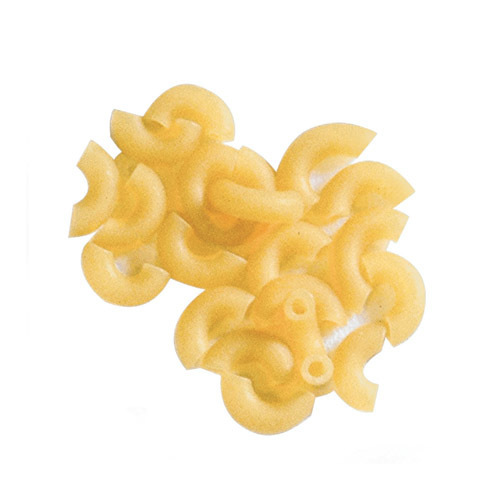 Add to the pasta, and cook over medium-low heat, stirring, until the sauce begins to cling to the pasta, 2 to 3 minutes. Add the cheese and cook, stirring, until the cheese melts, another 4 to 6 minutes. Remove from the heat, and stir in the asparagus, prosciutto, and chives. Season to taste with salt and pepper, and serve immediately. If your market sells 5-oz. 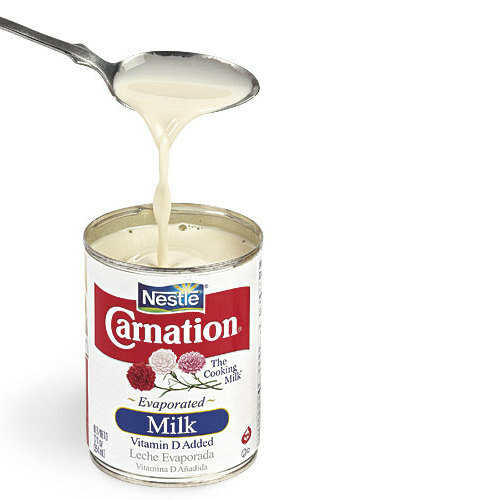 cans of evaporated milk, you can use one even though it holds a little less than 3/4 cup. I made this for dinner tonight, followed the recipe to the letter (but added a little more prosciutto), and it came out fantastic! Quick, easy, and delicious! Made this a couple of times and everyone loves it! A great weeknight meal, perfect!